Adding the right nutritional and herbal supplements to your daily or periodic health regimen can enhance your state of well-being, and significantly improve your yoga practice. But how do you know which one is the right one? Do you go with the least expensive product, the one that the 18-year-old sales associate says is best, or just close your eyes and point randomly when making your choice? By focusing on just a few ingredients in a company’s product line, you can determine the overriding philosophy on proper ingredient selection held by the manufacturer. The antioxidant vitamin E is key in the prevention and treatment of heart disease, cataracts, Diabetes mellitus, dementia, and even cancer. In its natural form (d-alpha-tocopherol), it has the most nutritional impact since all eight members of the “E Family” (known as stereo-isomers) are present, unlike the synthetic form (dl-alpha-tocopherol). Choose the stable form (esterified) of natural vitamin E succinate for optimum performance. Vitamin B6 is essential for proper hormone balance, energy metabolism, immune function, red blood cell formation, and nervous system function. Choose Pyridoxal-5-phosphate or P5P (the active form of vitamin B6) instead of pyridoxine HCL, an inactive form of B6 that must be converted to the active form, P5P, in the liver. Select calcium and magnesium in the forms of true amino acid chelates, which means that they are surrounded by and bound to amino acids to greatly improve their bioavailability and effectiveness in the body. Considered the leader in mineral chelate research, Albion Advanced Nutrition offers a complete blend of bound, stable, and well-researched chelated minerals. A formula that includes a variety of the most bio-available and effective vitamins, minerals, amino acids and phytochemicals, together with organic whole food sources of those ingredients will assist your body in achieving the strength and flexibility to take your yoga practice to the next level. Organic whole foods and herbs like organic stinging nettle leaves, organic wheatgrass juice, and camu camu berries are ideal as natural whole food sources of essential nutrients. Trace minerals optimize the pH in the body and encourage ideal acid/alkaline balance. They are critical to attaining greater levels of energy, vitality, and well-being as well as maintaining bioelectrical vitality and homeostasis. In an ionic form, they are easily recognized and utilized by the body, ensuring that the minerals are easily assimilated through selectively permeable cell membranes. Colloidal minerals, by comparison, must first undergo a process of conversion within the body, prior to being absorbed. Only a certain percentage is utilized after the conversion process. Ionic trace minerals concentrated from ocean water deliver the most bio-available and effective trace minerals available in supplement form. When selecting herbs and nutritional supplements, there are a few more simple guidelines to follow. 1. Purchase either organically grown or wildcrafted herbs to ensure higher levels of full pectrum active components. 2. Select standardized herbs (using full spectrum standardization) which contain the highest available levels of full spectrum plant constituents in their balanced natural proportions. 3. Avoid companies that use potentially damaging solvents or high temperatures in the extraction or concentration process (common among herbal manufacturers). 4. Read the label to determine the genus and species of the plant included in the formula to make certain you are getting the right version of the herb, with known research to support its use. 5. Look for branded ingredients (such as Masquelier’s OPC, Suntheanine, e.d.s. enzymes, National Enzyme Company, ConcenTrace, and Regenassure) which usually indicates the manufacturer has invested in quality research and education, and is committed to producing the best possible product. 6. Avoid binders, fillers coating, artificial colors, and sweeteners: corn, wheat, soy, hydrogenated oil, aspartame, sucralose, and artificial dyes. Capsule form is preferable to tablet since it is easier to metabolize, particularly if you have compromised digestive function. If you are a vegetarian, make sure that the product uses vegetarian capsules. 7. 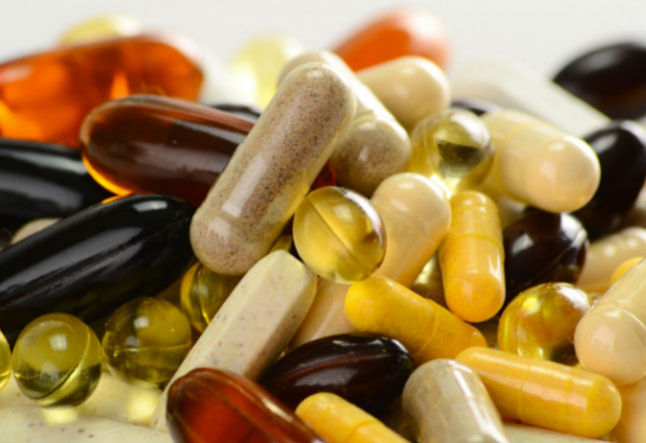 Select supplement manufacturers that have been certified for Good Manufacturing Practices (GMPs) by companies such as NNFA and NSF. Current GMPs (cGMPs) proposed by the Food and Drug Administration ensure that the product is not contaminated or adulterated with harmful ingredients, and is produced in a way that parallels the way pharmaceutical drugs are manufactured.